Near Hale End. 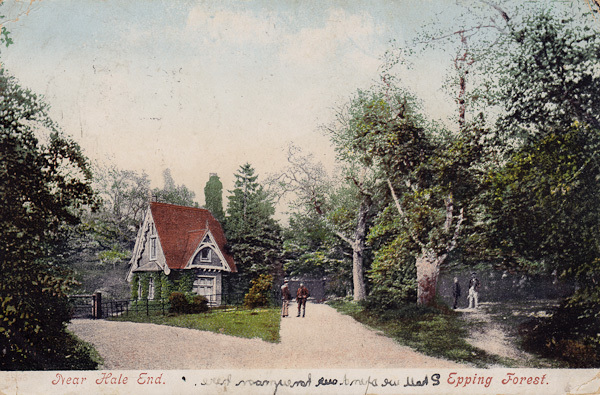 Epping Forest. Shall we spend our honeymoon here [?] has been added in mirror writing. A picture of the lodge at the end of The Bridal Path. 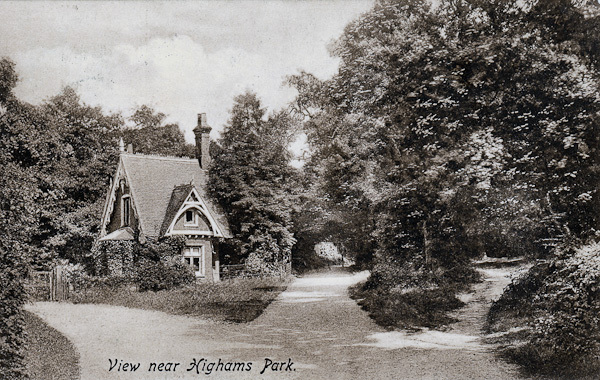 Postcard sent in July 1915 to Miss L. Grist, Lovetts Wood Hawkesbury, Chippenham. This is probably Lydia C Grist (born about 1895), the daughter of Laurent (a farmer) and Honor Grist. Another picture of the lodge at the end of The Bridal Path. Postcard sent to Mrs E Peedham, "Hill Brow", Alexendra Road, Hemel Hempstead from Dorrie. F. Frith & Co Belgate No. 55235. Postcard to Mrs Leigh (Mamma), Huntingdon Road, Thrapston, Northamptonshire, from Lu (or Su) post marked July 1908. 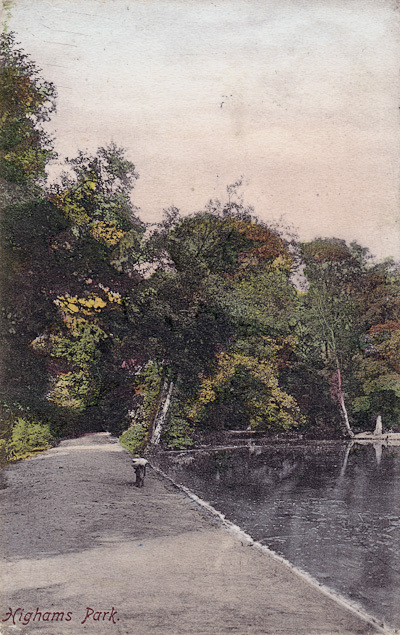 A post card showing Highams Park Lake.